Grand Mondial was launched back in 2006 and is one of several online gambling operators that are owned and managed by the established Casino Rewards Group. 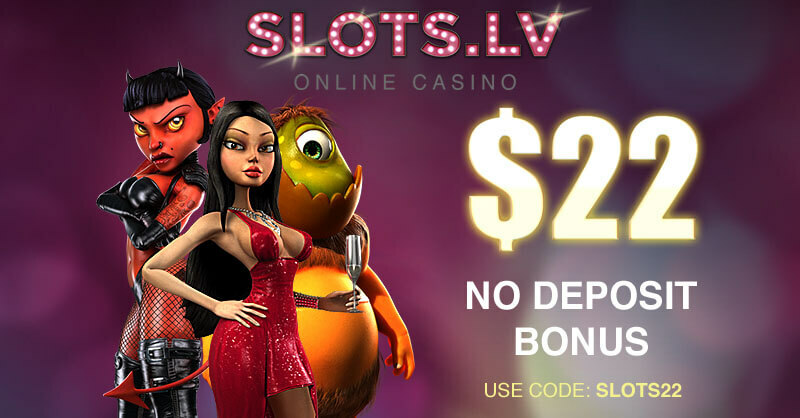 This online casino is generally regarded positively by its customers, who get to enjoy a massive gaming library comprising over 550 titles. The operator strives to cover a broad spectrum of personal preferences and offers every type of game imaginable, with the options ranging from hundreds of quality video slots and video poker to many card and table mainstays like roulette, baccarat, casino poker, and blackjack. The software behind the games is courtesy of highly-esteemed supplier Microgaming, which pretty much guarantees a seamless experience for all Grand Mondial players. Those who are keen on spinning the reels are provided with a massive choice of classic and more advanced slots, but it is the games with the progressive jackpots that pique the interest of slot fans the most. Titles like Major Millions, Mega Moolah, Treasure Nile, and King Cashalot offer prizes that usually escalate to six-figure and even seven-figure amounts. Players who enjoy games that combine chance, skill and strategy should look no further since Grand Mondial is home to an impressive selection of video poker variants including Double Double Bonus Poker, Deuces Wild, Jack or Better, and Aces and Faces. There are table games aplenty but a Live-Dealer section is also available to those who want to taste the thrills of playing against seasoned dealers in real time. The reliable operator supplies its player community with excellent customer support via a live-chat facility and email. Its website is available in two languages, English and French. Players can deposit and withdraw conveniently via a nice range of dependable methods, including credit and debit cards by Visa and MasterCard, e-wallets like Neteller and Skrill, and the prepaid solution Paysafecard, among others. Payments are accepted in four of the most commonly used currencies – USD, GBP, EUR, and CAD. Players looking to make a few quick bets as they go will be greatly pleased to hear Grand Mondial is a mobile-friendly casino which runs without a hitch on smartphones and tablets, based on iOS, Windows Phone OS and Android. The mobile games are available in flash format. Online Since Grand Mondial Casino went online in 2006 and operates as part of the internationally acclaimed Casino Rewards Group. Minimum Deposit/Withdrawal The minimum deposit limit stands at £20. There is no maximum limit on deposits. Withdrawals are held in pending for a period of 48 hours and take between 2 and 10 business days to complete, depending on the banking method used. The maximum amount you are allowed to withdraw per week is £4,000. The minimum withdrawable amount is £300 for bank transfers and £50 for the remaining methods. 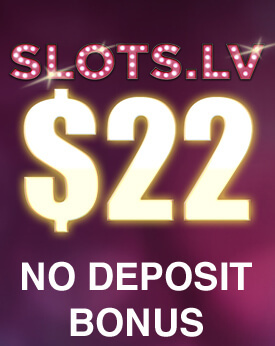 No-Deposit Bonus As of the moment of writing, Grand Mondial does not offer active No-Deposit bonuses. 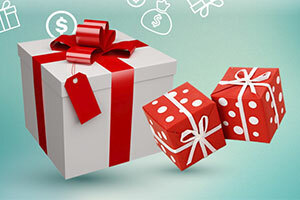 Be sure to check the casino’s promo page regularly to keep up to date with the latest offers. Welcome Bonus New players of legal gambling age can deposit £10 to receive 150 free chances to win big at Grand Mondial. 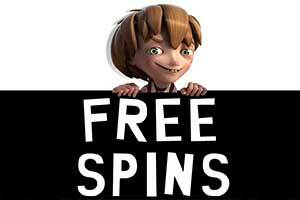 The bonus consists of 150 free spins on the progressive games for a total of £37.50 in free play. Each spin is valued at £0.25. There is a 60x playthrough for this first-deposit offer. The bonus expires 7 days after registration. Players from Poland and Hungary are excluded from participation. 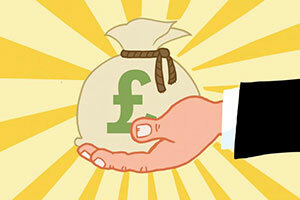 Newcomers who deposit for a second time are awarded 100% bonus of up to £250. The second-deposit offer is subjected to a 30x playthrough requirement. Regular Bonuses Current registrants can redeem different monthly reload bonuses and are awarded loyalty points when placing real-money bets. Loyalty Programme The casino hosts a VIP scheme where members enjoy a variety of perks and collect loyalty points for every real-money bet. These are exchanged at a rate of 100 points for $1 in free casino credits. Software Grand Mondial Casino runs on software provided by industry leader Microgaming. The casino supports all three formats – flash, download and mobile. Popular Jackpots Members of Grand Mondial can hit a life-changing jackpot by playing Cash Splash, Mega Moolah, Treasure Nile, Major Millions, King Cashalot, Caribbean Draw Poker, Roulette Royale, Triple Sevens, and Cyberstud Poker, among others. There are 16 progressive games in total. Game Types The website is home to over 550 3-reel and 5-reel slots, video poker variations, progressives, and table classics like European Roulette, American Roulette, Classic Blackjack, Atlantic City Blackjack, Vegas Downtown and Vegas Strip Blackjack. 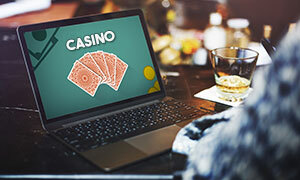 Live Casino Registered customers are granted access to a Live-Dealer section where they play a variety of games streamed in real time and hosted by actual dealers. Some of the live-dealer options include Baccarat, Blackjack, Roulette, Casino Hold’em, Three Card Poker, Ultimate Texas Hold’em, and Caribbean Stud Poker. Mobile Casino Grand Mondial runs a mobile-friendly flash casino that is compatible with hand-held devices based on Android and iOS. Deposit Methods Players can load money into their accounts via Visa, Visa Electron, Maestro, MasterCard, bank transfers, Neteller, Skrill, ecoPayz, Bitcoin, Paysafecard, Entropay, UpayCard, Astropay, Instant Banking by Citadel, InstaDebit, iDebit, Flexepin, and electronic cheques. Deposits are processed in real time and do not involve fees on behalf of the operator. 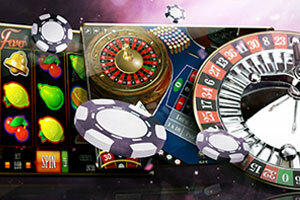 Currencies Players can set up their Grand Mondial Casino accounts in CAD, USD, GBP or EUR. Languages The casino’s website supports two languages – English and French. Support Support can be reached via the 24/7 live chat facility, email at support@crhelpdesk.com or by using the free call-back service, available at the casino’s website. Licenses Grand Mondial operates under the licensing and regulations of the UK Gambling Commission (UKGC) and the Kahnawake Gaming Commission. Grand Mondial is home to a gaming collection that is impressive in size, consisting of more than 550 top-shelf games that are supplied by the casino software veterans at Microgaming. The library features an enormous variety of video slots but there are also some blackjack, roulette, video poker, and baccarat variations for you to try. The bulk of the catalogue catches the attention with stunning visuals and captivating audio effects that engulf you for the ultimate immersive experience. However, some of the older titles from Microgaming’s suite are somewhat less spectacular in terms of graphics which is to be expected considering they were released quite some time ago. The games can be loaded in instant play but downloading the Microgaming software is also a possibility for those, whose desktop computers and laptops run on Microsoft Windows 7 or above. The platform is quite stable and well-organised since everything is neatly divided into categories. You will find separate sections for the new games, the 5-reel and 3-reel slots, the table games, the progressives, the video poker varieties, and the live casino. When you click on a given title in the casino lobby, the software shows you information on it, displayed on the left-hand side of the page. If you like something, you can easily add it to your Favourites. The last games you have played are also displayed allowing for a quick and fuss-free access. The games displayed under the New Games tab in the lobby are not actually new, but are simply some of the most played ones at the casino. Grand Mondial is a true paradise for players who enjoy setting the reels in motion. The website features an incredibly broad selection of slots that are grouped into two categories. The first one is reserved for the classics which feature a simplified design, less impressive graphics, 3 reels, and a limited number of paylines. These will appeal mostly to slot purists who are craving an old-school experience that only classic one-arm bandits can provide. There are about 8 games from this category, the most popular of which are Break da Bank, Cash Crazy, Couch Potato, and Double Wammy. The real fun begins when one visits the 5-Reel Slots category where the diversity is so enormous you simply do not know which game to try out first. We highly recommend you go for visually stunning slots like Dragon’s Myth, Immortal Romance, Tarzan, and Jungle Jim – El Dorado. There are branded titles based on popular movies like Hitman, Halloween, Bridesmaids, and The Phantom of the Opera. One of the most popular Microgaming slots, Game of Thrones, is also available at Grand Mondial, which offers it in two variations. One of those plays over 15 paylines while the other uses the lucrative 243 Ways to Win format. The instant-play version of Grand Mondial is a bit short of casino mainstays like roulette if we have to be honest. The choice is limited to two variants only, but you may be able to find a greater diversity when you download the casino’s free software. 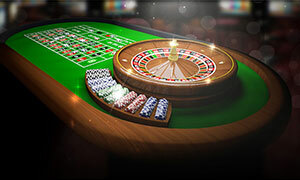 One variation plays over a single-zero wheel and is part of Microgaming’s Gold Series of table games, which arrest players’ attention with their improved graphics and gameplay. In European Roulette Gold, you can bet between £1 and £16,000 per spin which renders it a viable alternative both for short-budgeted players and high rollers. The single-zero game supports all the standard inside and outside bet types along with exotic racetrack wagers like Voisins du Zero, Tiers du Cylindre, and Les Orphelins. The game works a bit differently than what we are accustomed to since the entire screen initially features only an enlarged table layout and the wheel is nowhere to be seen. Once you post your bet and click the spin button, the view changes showing you a close-up of the spinning wheel from above so you can see the result clearly. Your other option at Grand Mondial, and one we would recommend you not to try, is American Roulette Gold. The visual and audio quality of the game is on par, of course, but the wheel here features two zeros decreasing your chances of a win. The maximum table limit is much lower at £2,000. Other than that, the game’s interface is the same as that of the European version we advise you to stick to. We got the impression blackjack is also marginalised in the instant-play version of Grand Mondial since there are only 6 varieties of 21 in the Table Games section. On the positive side of things, these are all part of Microgaming’s Gold Series collection so the least you can expect are high-quality graphics, immersive audio effects, and a smooth gameplay. Still, the operator has got you covered with all the popular variations of the classic card game. Players at Grand Mondial Casino can benefit from some favourable rules in a game of Atlantic City Blackjack although Vegas Strip Blackjack is also an option. Brits may choose to play a variant they are more familiar with in the face of European Blackjack where no hole cards in play. Another alternative at Grand Mondial is to try Vegas Strip Blackjack. 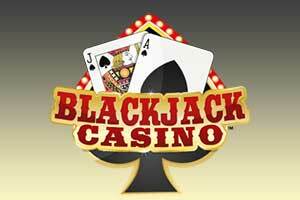 Classic Blackjack Gold and Single-Deck Blackjack are also on this casino’s list. Betting in all available variations at starts at £1. The maximum you can wager on a single blackjack hand at Grand Mondial is £5,000. Grand Mondial also offers a somewhat smaller range of video poker games, providing fans of the strategy game with an unimpressive total of 6 variations. However, all popular versions of the game have made it on the list. We are glad to report Grand Mondial’s variation of Jacks or Better offers full pay for your flushes and full house hands along with the option to bet up to five coins per round. Another mention-worthy video poker variant that is readily available at Grand Mondial is Deuces Wild. This one is unfortunately short pay but is still worth your while since you receive extra help from the four wild deuces that help you form more winning hands. Grand Mondial players can win extra payouts in a game of Double Double Bonus Poker or go for one of the other popular variants at the website, namely Aces and Faces, Aces and Eights, and Bonus Deuces Wild. All of those feature the Double Up functionality but if you do not intend to use it, we recommend you switch it off from the games’ settings. We were displeased by the lack of video poker variations allowing you to play multiple hands at a time but such games are most likely available in the downloadable platform of Grand Mondial. Things are not looking particularly bright when one visits the Progressives category at Grand Mondial where the jackpot games are to be found. There are hardly any options there, with players having a choice from three progressive slots only. That being said, Grand Mondial compensates for this limited choice by offering you some of Microgaming’s most lucrative games, particularly the slot Mega Moolah, whose seed amount of £1 million is contributed by the leading software developing company itself. In fact, Grand Mondial customers have the chance to win four different prizes since Mega Moolah is a game with a four-tier jackpot structure. The two smaller prizes are awarded more frequently but if you hit the Mega jackpot, you become a multi-millionaire. The other two progressives you can play at Grand Mondial are also well-known among the members of the online slot community due to their high winning potential. The jackpots in Cash Splash and Treasure Nile frequently reach six-figure amounts that definitely are not to be sneezed at. 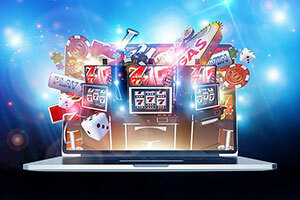 Luckily, the live casino at Grand Mondial utilises the platform of developer Evolution Gaming which translates into a greater diversity of gaming options for players who visit this section of the website. Navigating through the live lobby is easy as ABC. You will see all the different categories of games displayed at the very top which makes it easier for you to find the ones you are interested in. You can play different live varieties of roulette, blackjack, casino poker, and baccarat but the wheel-based game Dream Catcher is also a viable option. The games are hosted by professionally trained dealers that know what they are doing and strive to make your stay at Grand Mondial’s live casino an experience you will truly remember. When you access a category and click on the information icon on a game’s thumbnail, it will show you the name of the table’s dealer, the table limits, and the rules in short. The software allows you to choose from smaller and enlarged thumbnails. In the blackjack variations, the thumbnails also show you how many seats are currently vacant. Grand Mondial’s live casino is a great place to play no matter what budget you have at your disposal. There are tables where you can bet as little as £0.10 but the casino is also friendly to high rollers giving them the freedom to wager as much as £10,000 on a single coup. The upper limits at the live baccarat tables are even higher at £15,000. The casino’s software also enables you to chit-chat with fellow players, adjust the quality of the video stream, and track your gaming history at specific tables. The selection of live tables is quite extensive so we will mention only several of the most popular options, which are Caribbean Stud Poker, Texas Hold’em, Blackjack Party with its two presenters, Immersive Roulette, Dragon Tiger, and Baccarat Control Squeeze. What deposit methods can I use to top up my Grand Mondial account? Grand Mondial Casino supports deposits with all popular debit and credit card brands, including Visa, Visa Electron, Maestro and MasterCard. Registrants can also top up their casino accounts via digital wallets like ecoPayz, Skrill, Neteller, online banking mediators like Citadel and AstroPay, prepaid methods like Paysafecard and Entropay, bank transfers and Bitcoin. Deposits into players’ accounts are carried out promptly and safely. 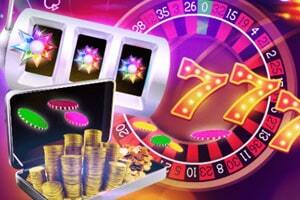 With most of the supported methods, the money will be instantly available into your casino balance. Players are not charged by Grand Mondial for their deposits but it is recommended to enquire about the policies of your financial institution to see whether there are additional fees on their behalf. Does Grand Mondial have a VIP programme? Yes, Grand Mondial is home to a rewarding loyalty programme and all newcomers are automatically enrolled upon signing up and depositing real money. The programme offers a comprehensive set of perks including exclusive promotions, bigger bonuses, birthday gifts, personal support VIP hosts, access to exclusive games, and much more. Also, each time players stake real money at one of the games, they are awarded VIP loyalty points, which can later be exchanged at a rate of 100 points for $1 in free credits or the currency equivalent. Note that customers are required to have accumulated a minimum of 1,000 points before they can redeem them for casino credits. The more points you accrue during your betting sessions at Grand Mondial Casino, the bigger the benefits you get to enjoy. How can I be sure Grand Mondial Casino is fair? Grand Mondial Casino has adopted an elaborate piece of software, called a Random Number Generator or RNG. This software is what determines the outcomes of all available games and helps prevent bias so that all players have equal odds of winning with a given reel spin, roulette coup or blackjack hand. What is more, the software is independently audited by the third-party testing agency eCOGRA. 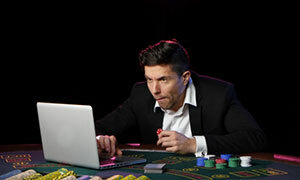 Since the latter is in no way connected with the gambling operator, players can feel confident the results of the audits coincide with the truth. The average payout percentages are published on Grand Mondial’s website but can also be seen by clicking on the eCOGRA logo at the bottom of the operator’s home page. According to the last audit’s results, Grand Mondial Casino has an average player return percentage of 96.52%.